Purchase the course and you will be registered for the live webinar. Please purchase early, there are a limited number of live e-seats available. Explore important recent acupuncture research discoveries. Highlights include acupuncture for the relief of musculoskeletal pain, arrhythmias, unique high magnification photography of acupuncture needle qualities, and more. Each Acupuncture Live Webinar is unique and is based on current acupuncture research. 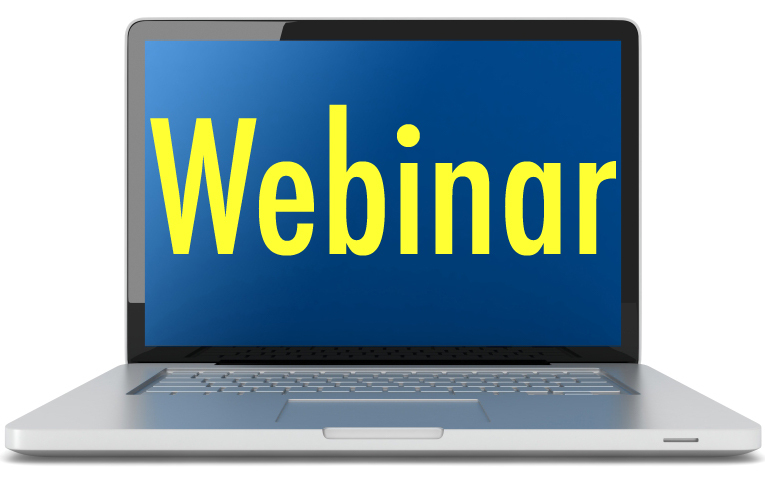 Live acupuncture CEU credit is granted for every webinar, there are no prerequisites, and each online webinar is open to all acupuncturists and medical professionals. Attend the live webinar online and a certificate of completion for acupuncturist continuing education credit is emailed to you at the end of the webinar. A quiz is not required for live webinars. Simply attend the online event and a certificate is emailed to you upon completion of the webinar. Purchase the course to download a link to the webinar. You will be able to watch on your computer, iPhone, iPad, Android, tablet, or other smart device. All that is required is a good internet connection. An email reminder with a link to the webinar will be sent to you before the webinar. In addition, a download document with login and link instructions becomes available after purchasing the webinar. This is a scheduled online live event, which counts as in-person CEU credit in California, New Jersey, and other states. If you would like to take an anytime course, available 24/7, please select a different course. Adam White, L.Ac. has served as a faculty member and continuing education director for Five Branches University, where he is currently a research advisor. His publications cover a variety of topics including Chinese medicine dietetics, pelvic inflammatory disorder treatments, acupuncture for musculoskeletal pain, and herb-drug interactions. 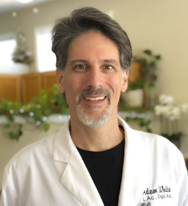 Adam White's current projects include organic herbal medicine farming, classical acupoint prescriptions combined with modern research, and the development of post-doctoral course materials for licensed acupuncturists. His private acupuncture practice is located in Capitola, California. A lot of great information with helpful links and downloads to supplement. The presenter gave many extra pieces of information regarding treatment methods and protocols that were useful. This course did review some interesting studies and I was able to pull some information useful in my practice. Thank you! First time taking a healthCMi live webinar, enjoyed the presenter's insights and learning about the archives of news, research, and blog posts available through healthCMi for future reference. This course was great for 2 primary reasons: it was a great review of how to treat some common complaints and it was very reassuring to see the results of those treatments positively supported by science. Very nice to go over research articles. I appreciated this course, with the ability to ask questions and be answered immediately. Helpful comprehensive recent research-based application of TCM used commonly in the clinics. The course was very informative and I can use the information in my practice. I like the addition of points to use for the conditions specified. Interesting research articles with useful information and insights. Enjoyed the course and commentary. Thank you for the excellent course and moderator. It is essential that we become familiar with the research if we are to become part of the allopathic health delivery team who will be looking for this kind of information as proof that our services will work! Excellent course, I definitely recommend it. Great information, very well organized, structured and delivered. A great webinar with new materials to cover every time. This course is simple and convenient. The materials are very informative and useful. I have been using it a few times now and I get to learn something new to share with my patients every time. I enjoyed the speakers' calm clear soothing voice in addition of course to the great presentation. I'm so glad my friend referred me… a very enjoyable seminar. It was good to hear the research on carpal tunnel, shingles, and insomnia. The research on blood pressure and arrhythmias is especially helpful in my practice. Current and very practical information! The presentation of the course material is great, provided useful and valuable information. Useful and interesting research material! Informative. Helpful. Current up-to-date and knowledgeable. Professional, well-researched presentation. I love these classes. It’s easy. The internet part seems to work well. I don’t have to leave home and spend time traveling. They always have something new I would not have learned any other way. I really like the discussion about different needles and the challenges to the profession. And they are affordable and count as “live” for California. Also, it is nice to be able to get the research to show clients. I love these webinars!!! I do countless hours of education in Chinese Medicine and would take your webinars even if I didn't need the live webinar hours. You guys are awesome! I very much enjoyed the webinar. The course material was excellent and was presented excellently. Great overview of new research and news in acupuncture world, with very relative clinic application suggestions. The info is useful, containing tips relevant to my practice, and it is encouraging to see that a growing body of research is proving what we know is possible from our own clinical experience. It is frustrating for all of us that we cannot treat as often as is done in the studies. The information provided was done so in a clear manner that followed closely with the webinar material. I also appreciate that you shared links to relevant material, like the article you spoke of linking autism with SSRI use during pregnancy. The course was very helpful. The instructor explained very clear the subject. I say excellent and thank you. It was a very informative course. I enjoyed it a lot. The course covered a lot of material and it was all useful and relevant. I always come away with new information. Very comprehensive information that I can use in my practice. Excellent information that helps practitioner improve their practice. It was very practical and helpful. Really enjoyed, great material, very practical knowledge. Loved presenter - calm voice, allows content to be easy assimilated, diverse subjects covered, good overview of topics, excellent choice of articles, meets my goals for this course. Very good overview on LBP, neck pain, diabetic retinopathy, COPD. Loved the extra notes on acupuncture needle quality, food and nutrition. Great presentation, 5 stars on all points. The course met its objectives. Informative, very well presented in an easy and light, yet in depth and precise way of prioritizing every-day clinical work. Informative, Clinic oriented and helpful! We are fortunate to have access to new research. It is great because articles from well reputed studies are used supporting acupuncture. Premise and content of articles is good. Great idea to review any published science supporting traditional Chinese medicine. That’s what we need is more familiarity with the evidence base so that we can speak with confidence to patients and other practitioners. Adam focuses on a lot of things I’m interested in—reviewing the research base of TCM with a lot of useful sidebars. And it’s live! Today’s webinar was my first acupuncture related webinar. I’m very pleased with the content of the presentation. Your work exceeded my expectations. Very useful and thorough information. I will definitely attend future seminars. Great to hear about the latest research on important topics like insomnia, chronic fatigue, depression, and low back pain. Very informative and a great resource. My first time in a Live Webinar with Healthcmi and I am very pleased. I liked the presentation, instructor was excellent, topic very interesting, and I leaned something new. I will come again. Thank you. Covered a lot of interesting topics. Especially enjoyed section on High Blood Pressure and cell death. Great information! Presenter's voice was clear and easy to understand. The course met its objective, the instructor was knowledgeable, prepared, and interesting. The material was organized and well communicated, the presentation was excellent and my personal objectives were achieved. I would definitely take another class with this teacher and recommend this class. I loved the course material and it was well presented with additional side information regarding needles, nutrition, and CEU changes, etc. I really liked the additional side notes too. Clear, concise readily absorbed information conveyed professionally and received easily. It is needed info for acupuncturists to be better informed to give state of the art service to the general public. Very informative. Speaker was very knowledgeable. Very enjoyable and informative! This was a very interesting and eclectic course which touched upon a number of illnesses for which acupuncture has been proven effective... studies from both Asia and the US were included. A thoughtful and interesting instructor who conducts a great class. His expertise and his wealth of knowledge are evident. I enjoyed the format. I didn't know what to expect but was pleasantly surprised. I enjoyed how relaxed and informative it is. The scientific studies provided information that will help better explain the results achieved to a client. The protocols are outlined with good reasoning and are immediately applicable. Looking forward to printing out appropriate studies to offer to clients. Validates treatments and answers the “how it works” questions. The live webinar is a great venue for the ability to also ask specific questions on cases you are finding challenging. I enjoyed this course. Adam has a way of presenting that is inclusive and it feels like you're sitting with him having a great discussion. He has great knowledge and weaves his practical experiences into the subject matter. Really liked the needle info. Also thank you for making these CEU's available. It is so nice not to have to travel to get them. Adam always outdoes himself, with pearls of wisdom, and total passion for what he does. HealthCMI webinar gets my five stars. The instructor is knowledgeable and his research includes information about all aspects of Traditional Chinese Medicine. The material was organized and well communicated. The course met its objectives and my personal objectives were met. Adam makes the material accessible and interesting. I feel like I can ask my dum questions ;) Thank you for making these webinars available to us! This was my first HealthCMI class and I am very pleased with the content. It is presented in a laid back, friendly manner that is still professional and informative. Adam took the time to answer all questions throughly and on a level that anybody, beginner or advanced practitioners, could understand. I’m definitely coming back. Very informative and relaxed. I enjoyed interaction with the speaker. I will overall rate this course as an excellent one. Easy to follow, the instructor went over the material very organized. The discussion of the research was excellent too. Helpful to determine when acupuncture can be involved in treatments of various diseases. I would also use the points selection. The class was very informative, the information very relevant to the practice and very enjoyable to attend. The microscopic demonstration on the quality of acupuncture needles was very useful. Thank you for the class. There are no reviews for this course yet.